You may remember a short while ago we were sent a First Bike to review and the girls loved it as you can see in the video. A closer look at the bike will reveal it’s made from Rubber Wood. This is the most ecologically friendly timber used in today’s toy industry as Rubber wood is only used after it completes its latex producing cycles and dies, so they use in effect wood that was once going to waste. In the currrent climate where we are all being told to watch our carbon footprint, it’s comforting to know that at least the toys our children play with are creating no harm to the environment a fact that is becoming ever more important. John Crane whilst choosing the toys to offer have paid special attention to the growing child’s love of pretend play. Spending most of their time with a primary carer they watch everyday activities such as shopping, cleaning, laundry, DIY and cooking. Children learn form watching these activities being acrried out and enjoy role palying themselves, modeling their carer’s behaviour. Toys that act as props for a child’s own game help develop creativity and imagination, Toys that encourage role paly also develop communication and social skills if playing with friends or siblings. Even more benefit is gained if children are playing together or with an adult. Children’s development is driven by the fact that young children always want to seem more grown up than they are, by letting them model adult behaviours such as shopping and cooking parents are validating thier children and bonding with them. role play toys are incredibly valuable and should not be overlooked in favour of the latest high tech toys. Be enthusiastic about your child’s ideas and praise them for their imagination. Ask open-ended questions to encourage the progression of play eg What shall we do with this baking tray rather than shall I put the baking tray in the oven? be creative with equipment, a saucepan doesn’t have to only be used as a saucepan, it can be a helmet or a drum! We are incredibly lucky to have been asked to trial and review a Balance bike for the company John Crane. John Crane have been in the wooden toy business for over two decades now and they’re a very fussy lot commanding high quality, value for money, innovation and safety on top of design flair as their stringent high standards. The First Bike comes in three colours, red, blue and pink. They’ve sent us a First Bike in pink and I made a short video for you to have a look at. My first comment has to be on the excellent design. It is simple, eye catching, sturdy and at a glance you can see it is of very high quality. It was easy to assemble as you can see in the video and each piece has been crafted with brilliant workmanship. Being a balance bike the child pushes the bike and quickly picks up how to balance hopefully avoiding the stabilisers on future bikes. The tyres are inflatable and there is a handy hole in the crossbar for carrying it around. I’ve seen it priced between £50 – £60 but a quick peek on Amazon showed it can be bought new for £32.99. The same as a poorer quality plastic bike. My twin toddlers are doing their utmost to take me to the edge of sanity recently by perfecting their skills in throwing a tantrum when mummy is least expecting it and least prepared for it and it’s Doing My Head In!! I have even contemplated going back to work at some points just to get away from the terrors little darlings. 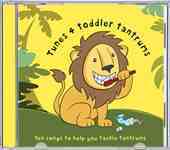 So when browsing through my Blogger.Ed forum I noticed an offer to review a CD ‘Tunes 4 Toddler Tantrums’ Well that pricked my ears up! anything to turn a tantrum around had to be tried so I wrote off with ALL of my details and lucky me, I got sent one. As soon as it arrived mid morning, I ripped open the packaging and stuck it straight in the stereo, pressed play and turned to my monsters angels with a ‘Now we’ll see’ smile on my face. The music started as I sat down at the table to savour a fresh cup of tea in peace…. ‘Oh mummy! Dancing. Come on!’ Bessie came over and dragged me by hand into the centre of the room to dance to the really catchy music blasting out from the stereo and my tea went cold as we all three danced and enjoyed the music. The songs are all really clear and by the end of each one we (I) could already join in the chorus and more importantly relate to which tantrum it would serve! 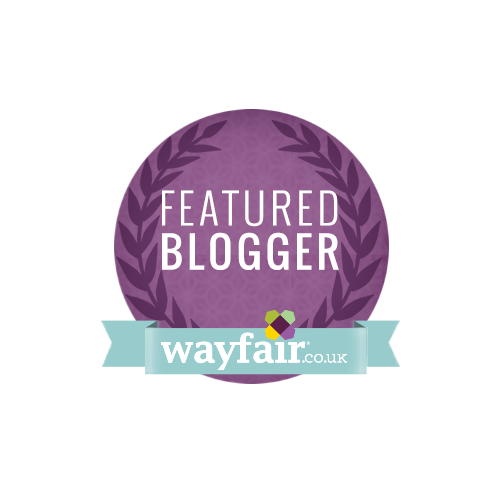 Mealtimes, toothbrushing, nappy change, bathtime. Each tantrum carefully catered for by 10 original songs. It became quickly evident that after a few listens we would know the words and be able to sing them all. The Girls Liked Them and I think that is fundamental in this product. The aim is to defuse the situation by turning it around and making it fun. Vicky Arlidge a BAFTA and Emmy award winner, also mother to two, which probably helped more in the compilation of this CD, is a musician and composer. She has come up with some very catchy lyrics that will have every parent in the land, tapping their feet and moving in time to the rhythms. My personal favourite is Space Buggy – ‘Zoom, zoom, zoom, you can’t catch me! My buggy’s the fastest you will ever see.’ It also has a 5-1 countdown which really makes the anticipation more exciting and fun and gets everyone to the start line ready to make a dash for it! Brilliant for when we’re in a hurry – which is often. To see if I was alone with my newfound passion for Tunes 4 Toddlers I took it into the Twins Club and asked the other mums for some feedback. All of them liked the songs and their catchy tunes, they all agreed they could use one of these CDs themselves and thought it was a brilliant idea. So if you have a little monster who refuses to stay still to have their nappy changed – ‘We’ll have a little wipe and make me nice and clean / then I’ll have the cleanest bottom you have ever seen’ could be for you. Head over to Tunes 4 Toddlers for more information and to print off the lyrics that will make your life tantrum free as it really does work.